If white diamonds are a little on the plain side for you, consider giving that signature sparkle a boost with vibrant color-enhanced diamonds. These are like natural fancy colored diamond rings but without the huge markup on price. Instead, modern technology is used to bring out cool colors like brilliant hues, cheery yellow and perfect pinks. How does it work? It�s actually pretty simple. In this process, a genuine diamond goes through a high-energy electron saturation. This alters the diamond�s color according to the color selected, whether it�s green, red, yellow or another tone. The resulting look is permanent; the color will not fade over time. Plus, you can care for them just like a regular diamond � no special maintenance required. 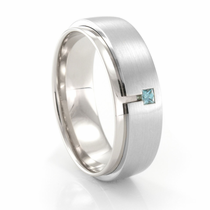 At Titanium Jewelry, you�ll find a selection of color-enhanced diamond rings with a little something special to offer. 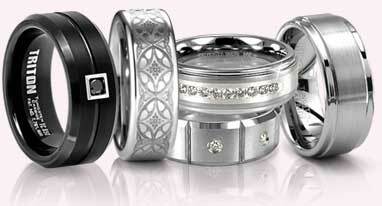 In addition to the utterly stunning colorful diamonds, these rings are made with titanium bands. 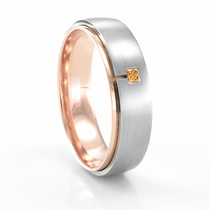 That means style gets combined with durability for the ultimate long-lasting piece of jewelry. 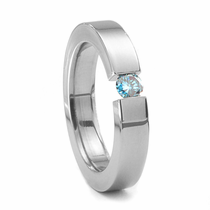 That beautiful blending between the colorful diamond and the durable band makes these rings particularly popular for engagement rings and wedding bands. Many couples are choosing to integrate them into their union because they know they�ll provide a lifetime of lasting beauty. Plus, the unique style of a diamond laying flush with the band makes them a great choice for either an engagement ring or a wedding band. Another thing couples like these fancy colored diamond rings is that they cost a fraction of the price of those that are created naturally. So to review, you�re getting a unique colored diamond on an ultra-durable band all for a budget-friendly price. What�s not to love? Buy yours at Titanium Jewelry to get a 90-day money-back guarantee as well as a lifetime warranty with your colored diamond band purchase. Learn more about Fancy Color Enhanced Diamonds. 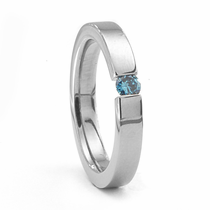 Customer rating for Fancy Color Enhanced Diamonds by Titanium Jewelry: 4 of 5 based on 2 customer reviews.